Warm apple pie has to be the most comforting dessert when it's cold outside. 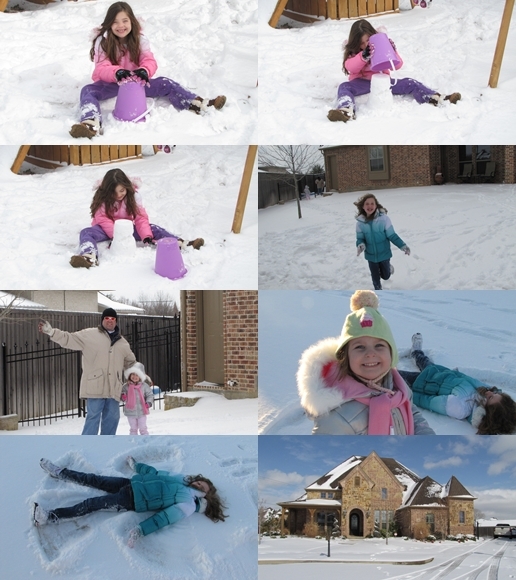 I made this the day we played outside on our snow day. This pie can be made quickly by using refrigerated pre-made pie crusts. Just a few simple ingredients, about 45 minutes in the oven, and you will be able to enjoy a piece of warm apple pie...a la mode if you please! Preheat the oven to 350 degrees. Remove your pie crusts from the refrigerator and let them come to room temperature. Prepare your apples by peeling, coring, and slicing them into thin strips. Add them to a large bowl of water with a splash of lemon juice as you are slicing them to keep from browning. Press a pie crust into the bottom of a deep dish glass pie pan. Drain and pat the apples dry. Place them back into the large bowl. Add the granulated sugar, brown sugar, apple pie spice, cinnamon, and flour to the apples and stir to coat them evenly. Pour the apples into the pie crust and mound slightly. Now, you can either use a cute shaped cookie cutter for the top crust, or just place the crust on top and cut slits to allow the steam to escape. I used our Valentine heart shaped cookie cutters to decorate the top crust. Use your fingers to crimp and seal the crust edges together. Brush the top and edges with egg wash. Sprinkle with sugar and cinnamon. Bake for 30 minutes. Cover crust with foil, and continue to bake another 15 minutes, or until golden brown and apples are tender. Let cool slightly before cutting so it will set up. Enjoy with a big scoop of ice cream! I love refrigerated pie crusts...they sure do make life easy...that snow storm just made it's way here last night...ugh! You are so right. Perfect time for a comforting apple pie. Yours looks beautiful!! Your pie looks picture perfect! YUM!!! What a fun way to spend the day, playing outside in the snow and then coming inside to enjoy a delicious piece of your warm apple pie. Thanks for linking this up. You have a cutie Apple Pie here! :) Thanks for sharing. yummy! Apple Pie! Looks great and I love the hearts on the top!